This notable Kevin Hart quote adapted itself nicely to Boston’s first two day music festival (see: Boston Calling). Partly due to it being my first festival in the cold rain, and also the fact that this was the beginning of a Boston tradition. What do I wear? Where is the best spot to watch the performances at either stage? Where I do go off site to grab food? Am I able to see every band perform? “You gon’ learn today,” became the comical response to all these questions and plenty more as my fellow comrades and I ventured through the most rad and unforgettable experiences. 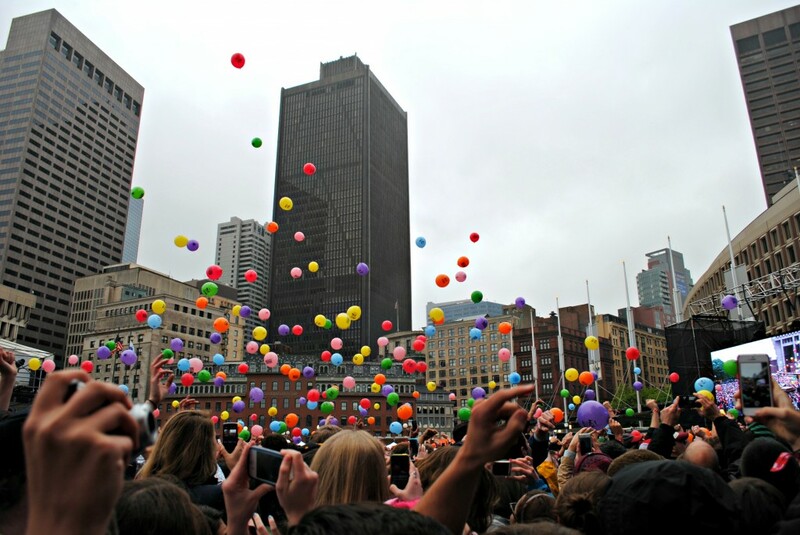 Here are some things we learned; crocs make rain boots (and they’re pretty damn comfortable), you can never have too many hoods, the “portolets” were cleaner than Simon’s 677 bathrooms, The Shins sound better when you’re warm, event staff can actually be nice, people would rather be electrocuted ducking under wires than walk 100 feet, it’s pretty much impossible watching one band after the other, if a festival starts at 12 you will be hammered by the headlining band or get man-handled by people who are, it is possible to have all eighteen bands start on time. The sprinkling turned to pouring, then disappearing and would cycle back throughout the cooler than normal May’s temperatures at City Hall Plaza on Saturday. This may not sound like a picturesque outdoor music festival, yet on terms of bringing people down or staying home, the weather did not seem to shake anyone. The excitement of what was to come kept everyone high on energy and anticipation for the next performance. As the gates opened, this enormous body of fans plummeted to the front of the main stage for Bad Rabbits. Starting the festival off with smiles on our faces and some dancing done in our shoes, we were ready to conquer the day. Not physically being able to see every band, due to bands being on time and masses all traveling the same path, I found myself making sure I was in a good spot for those that were high priority. MS MR had a flawless performance, closing my eyes I could’ve been listening to Secondhand Rapture on my iPod. Lively and out to prove their talents, they rocked hard. Seeing Matt and Kim for the first time sent a tinge of pink across my face at their raucous attitudes and fowl behavior, which threw a whole new badass spin on the duo. Within their new classification, their interludes of crowd-pleasing hip hop classics continued to rev up the crowd. As the day faded into the evening, the rain picked up a bit, leaving The Shins in a bit of a predicament. Not only were they playing to a tired group of individuals, but it was also raining at a steady rate and coldness was setting in. Even those obsessed with the Portland band weren’t giving their all, unless they were intoxicated. By the time fun. landed on stage, the precipitation had ceased, I had retrieved a winter coat and gloves from my car, and the crowd was refueled with excitement. An unbelievable show that will never be forgotten, they played hits off of Aim & Ignite and Some Nights to a roaring crowd dancing and bolting out lyrics as forcefully emotional as Nate (Ruess). Sharing his disbelief at the largest crowd he’s ever played too, Nate’s love for this moment was thick and contagious. The moment the sun finally made an appearance over the ambient post-rock instrumental band Caspian, you could sense the smiles and feel the relief from the sold out crowd. Day Two was a completely different experience, for not only was it the same musical heaven of one rapturous band after the other, but it was done with a curious sun peeking out behind the clouds. This lifted everyone’s spirits and even sparked interest in me visiting the chill, scenic Beer Garden. Youth Lagoon was expectedly wonderful, sharing every twinge and note on his multi-keyboards overpowering my Wondrous Bughouse obsessive soul. Typical to New England, the crowd kept firm feet during Ra Ra Riot’s set, which seemed rather impossible as I couldn’t keep still. Knowing that these East Coast crowds tend to be more listeners than movers, I did note the three dance parties going on and applauded them. Of Monsters and Men gave a high-energy show, sending Nanna running by the eager crowd during their final “Yellow Light.” Having seen them I had an idea of their set, but was surprised at the intensity they gave to every chord. Wrapping things up with The National, the Boston Calling did something nobody expected….they announced their second two-day festival in September listing bands such as Vampire Weekend, Passion Pit, Kendrick Lamar, Local Natives, and MORE! Oh my. I am most definitely looking forward to the fall, but will spend my present time relishing in this past weekend. Having confirmed notable live performances from bands I was interested in seeing, and gaining an appreciation for some new artists, I will always remember my first Boston Calling. And let me tell you, I certainly learned today. 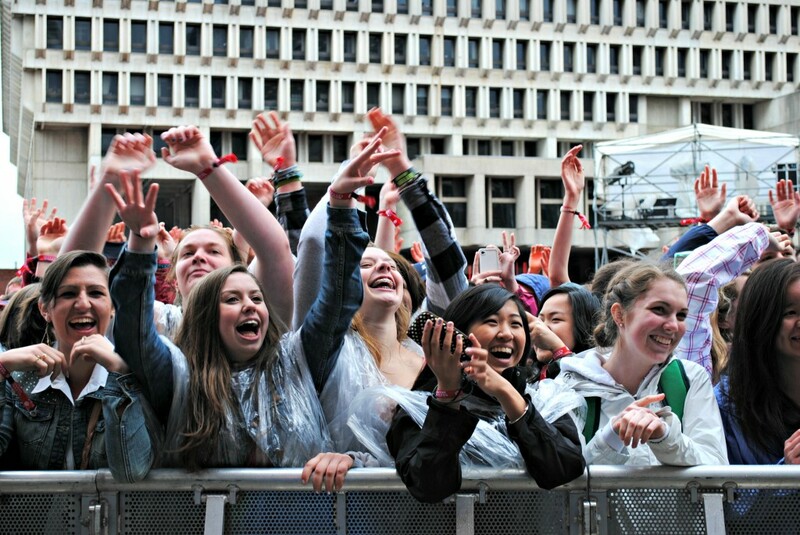 UPDATE: YOU CAN GET YOUR TICKETS FOR BOSTON CALLING (Fall edition) here!